The Grand American Road Racing (Grand Am) series was established in 1999 after the demise of the United States Road Racing Championship (USRRC). The original USRRC was created by the Sports Car Club of America (SCCA) in 1962 and ran until 1968 when it was replaced by the Can Am series. 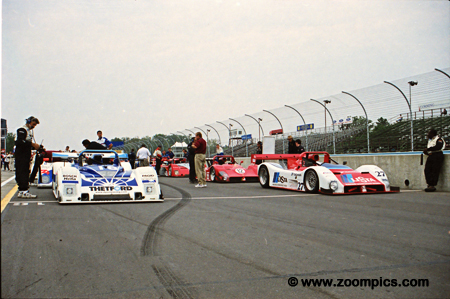 In 1998 the SCCA revived the championship as an alternative to the International Motor Sports Association (IMSA) series, however, it lasted only two seasons. It had moderate success the first year but in 1999 there was very little interest among competitors and the final two rounds were cancelled. 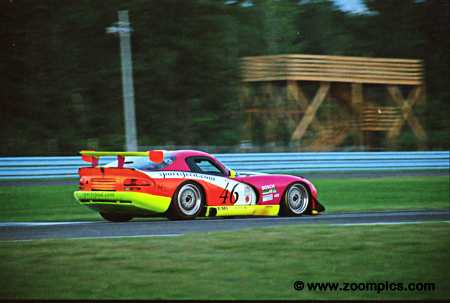 The rules for the 2000 Grand Am season were basically the same as those used the previous year in the USRRC. The series had two major categories: Sports Racer (SportsRacer and SportsRacer II) and Grand Touring (GTO, GTU and American GT). The inaugural season kicked off with the series premier event the 24-Hours of Daytona. It was followed by races at Phoenix International Raceway, Homestead-Miami, Lime Rock, Mid-Ohio, Daytona, Road America, Trois Rivieres and ending mid-August at Watkins Glen. 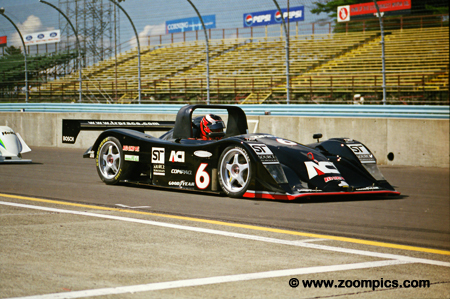 In late August the Grand Am season ended at Watkins Glen with a 6-hour finale. A unique feature of this event was two qualifying races Friday evening to determine the final grid positions for the Six-Hour event. There was an 18-lap race for the GT classes and another for the SRP cars. The GT race was won by Irv Hoerr in an American GT Chevrolet Camaro. The SRP race was called after 10-laps with darkness setting in - the victory went to the No. 16 Dyson entry. As usual, the best-subscribed class was GTU with 22-cars and the least – 4 in SRP II. At the finish 35-cars were classified as finishers. A win in Friday night’s qualifying race earned James Weaver and his driving partners, Butch Leitzinger and Andy Wallace the pole for the Six Hours of Watkins Glen. Starting next to them on the front row was the Judd powered Doran Special which was shared by Didier Theys, Fredy Lienhard and Ross Bentley. Driving the No. 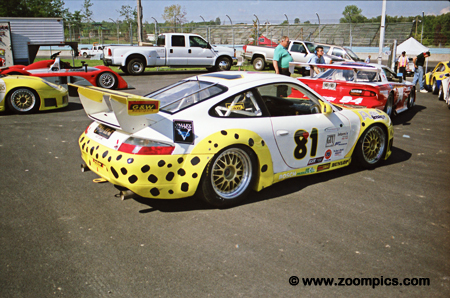 81 G&W Motorsports Porsche GT3R was Darren Law and Mike Fitzgerald. This pairing had scored four GTU class wins during the 2000 season. Law won the GTU class in the qualifying heat Friday evening and the duo captured the victory in Sunday’s 6-Hour race. 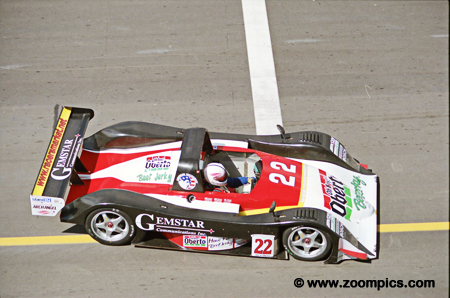 But Fitzgerald took the Driver’s title as the result of his finish at the season-opening 24-Hour race in Daytona. James Weaver, Andy Wallace and Butch Leitzinger drove the No. 16 Riley & Scott. Wallace had a comfortable 20-second lead over Oliver Gavin in the final 30-minutes of the event but a late race caution eliminated the advantage. However, the race ended under a full course yellow and the trio was able to take the victory at the Six Hours of The Glen and secure the Driver's Championship in SRP for Weaver. Finishing two laps behind the class winning Mustang Saleen SR were Eric Messley and Stu Hayner in the No. 46 Dodge Viper GTS-R. A class win at Daytona in the Paul Revere 250 and a poorly subscribed class allowed Messley to take a comfortable second in the final GTO Driver's standings. The biggest threat to the G&W Porsche of Law and Fitzgerald was the GTU class entry from Kelly Moss Racing. The No. 7 Porsche GT3R was driven by David Murry, Lucas Luhr and Rick Polk. Although the Kelly Moss team had been away from professional sports car racing, they finished a very credible second in class and eighth overall. In addition, David Murry recorded the fastest GTU race lap. It appeared that SRP II honours would be between the series leading Archangel Lola and the No. 6 TRP Racing Nissan Lola. Sharing the TRP entry was Buddy Rice, John Macaluso and Gary Tiller. As expected the Archangel and TRP led the class but accidents with less than 30-laps completed in the race took both cars out of contention. With the help of Snow/Schumacher Racing TRP was able to get the car back on track and finish second in SRP II. 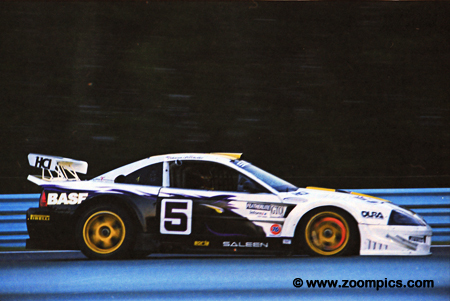 The top GTO finisher was the Saleen-Allen Speedlab Mustang Saleen SR of Terry Borcheller and Ron Johnson. 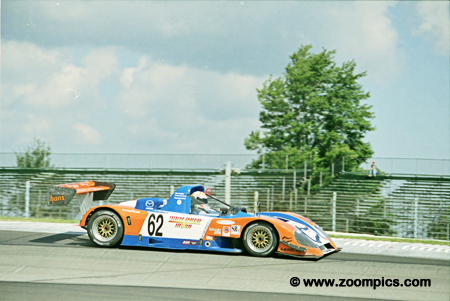 Borcheller and Johnson easily captured the 2000 Grand-AM GTO Driver's Championship. 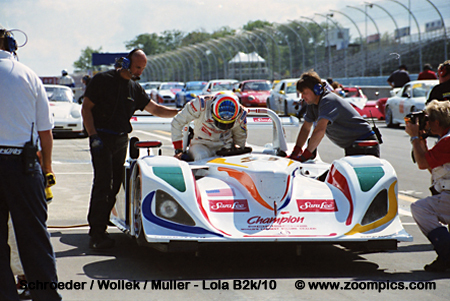 Their entrant, Saleen-Allen Speedlab, took the Team Owner's title. Race incidents for the SRP II entries of Archangel and TRP allowed the Team Spencer Motorsports Kudzu to go unchallenged for the class victory in the Six Hour event. Drivers Dennis Spencer, Rich Grupp, and Ralph Thomas had proven to be competitive throughout the season but were no match for Archangel. Their consistency paid off and Spencer and Grupp finished second in the Driver’s standings. The second G&W Motorsports entry was driven by John Morton, Price Cobb and Michael Schrom. The No. 80 Porsche GT3R finished third in the twenty-one GTU field and twelfth overall. The last car to finish on the lead lap was the Robinson Racing Judd-powered Riley & Scott. The duo of Jack Baldwin and car owner George Robinson finished third. 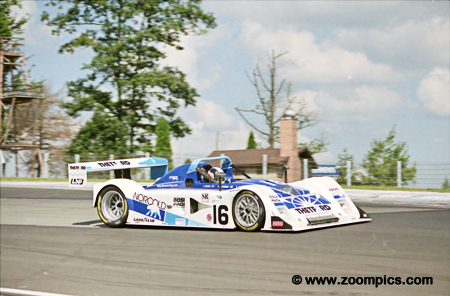 During 2000, the pair had a season-best finish of first at Mid-Ohio. Baldwin also scored a win with Irv Hoerr at Phoenix. Going into the final round at Watkins Glen Belgian Didier Theys had a mathematical chance of catching James Weaver for the SRP championship. 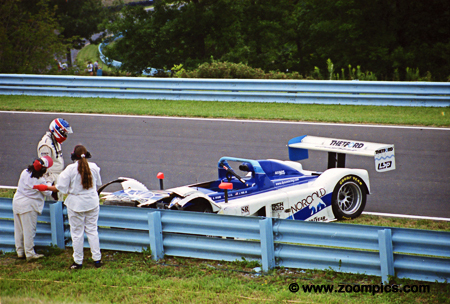 However, that possibility ended when co-driver Fredy Lienhard hit the guardrail while trying to avoid a slower. After 85-laps, they retired the car with engine and suspension problems this resulted in a ninth place finished in the SR class and forty-third overall. The duo of Oliver Gavin and Jon Field had a solid weekend finishing second overall in Field’s Lola B2K/10 Judd. During the fourth hour of the race, Gavin and Butch Leitzinger in the Dyson Riley & Scott staged a terrific battle. Gavin earned the fastest race lap and led 30 of the 166-laps. 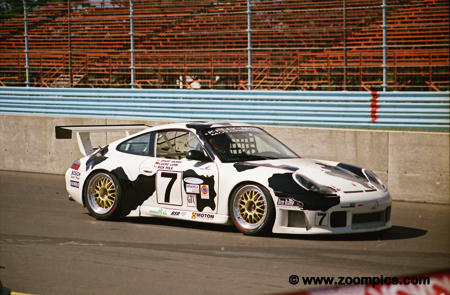 In addition to two GTU class entries, G&W Motorsports had a Porsche 911 GT2 EVO competing in GTO. 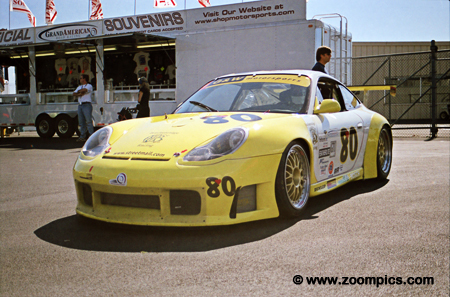 This car was driven by Steve and Danny Marshall and Porsche racing veteran Hurley Haywood. This trio finished third in class - 7-laps behind the winning Saleen Mustang. 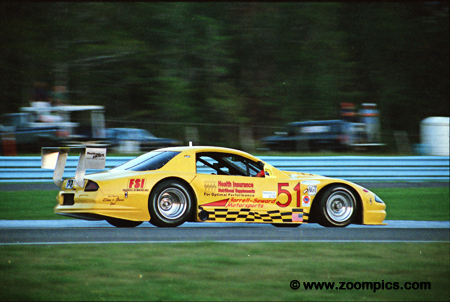 Finishing third in American GT was the Farrell-Seward Motorsports Oldsmobile Aurora. The car was driven by Glenn Seward, David Galpin, and Jim Yeames. The No. 22 Nissan-powered Lola was entered by Archangel Motorsport for Larry Oberto, Ryan Hampton and Paul Macey. Hampton and Oberto captured seven SRP II victories during the 2000 season which was enough for them to secure the Driver's Championship. At Watkins Glen, a series of issues during the race resulted in a class finish of third. The second Dyson Riley & Scott MK III was to be shared by team owner Rob Dyson, Elliott Forbes-Robinson and John Paul Jr. 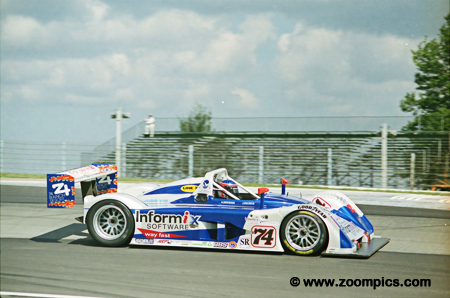 The car started seventh with Forbes-Robinson behind the wheel. On lap-60 the team pitted and Paul Jr. took over the driving duties. Unfortunately, on his out-lap he spun on some oil and crashed - resulting in the retirement of the car. 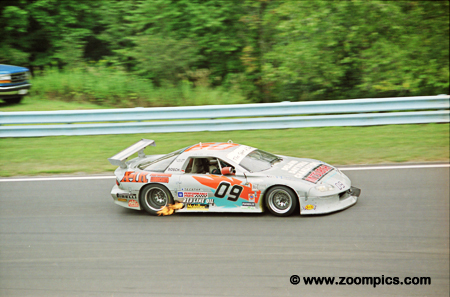 Craig Conway, Doug Goad and Troy Flis took the American GT honours at Watkins Glen. 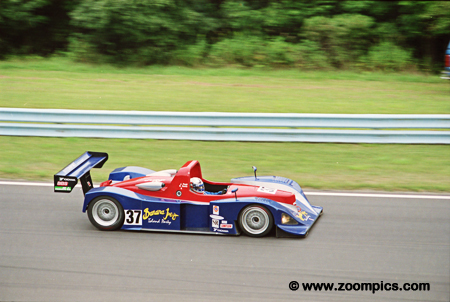 The Spirit of Daytona entry won the 2000 Team Owner's title but the win at The Glen was not enough for Conway and Goad to take the Driver's Championship. They finished second to Chevrolet Camaro driver Doug Mills in the final standings.